According to the CDC, adolescent asthma is the leading chronic condition for youth so you are likely to be managing this condition if you care for juvenile offenders. Indeed, this condition is more prevalent in males and higher among black Americans, both over-represented in the incarcerated population. 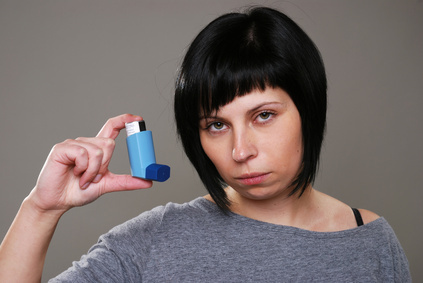 Concern for exacerbations and co-occurring disease management is important as young asthmatics are likely to underappreciate or even deny their condition leading to lower adherence to medication and even partaking in risky behaviors such as smoking. As with many health conditions, incarceration is an opportune time to inform and educate your patients. Your young patients can gain a better understanding of their condition and how to manage it while in your care. Help your patients develop coping mechanism and plans to overcome barriers to self-management. Early treatment, when the patient is young, can actually help prevent progression to irreversible lung disease with age. So, your efforts to motivate young asthmatics to manage their disease has both present and long-term benefit. Individual education during clinic visits are helpful but group activities have been found to be especially beneficial for teens. Youth is a time of significant personal and psychological development and asthma is associated with anxiety and depression in affected youth. Asthmatic youth may experience ridicule and bullying if perceived as weak or sickly. In addition, those with severe asthma, having a history of life-threatening events, may show signs of post-traumatic stress disorder. Other developmental conditions that may be present include attention deficit disorders and learning disabilities. Consider all these possibilities when evaluating asthmatic youth and liberally recommend mental health consults and social service support, when necessary. The National Commission on Correctional Health Care (NCCHC) published guidelines for adolescent asthma identification and treatment that can help you set up an effective youth asthma management program. NCCHC guidelines are based on the National Asthma Education and Prevention Program Expert Panel Recommendations and include recommendations for intake history, a guide to determine disease severity, and helpful quality improvement benchmarks. This entry was posted in Youth and tagged correctional nursing, Essentials of Correctional Nursing, Lorry Schoenly. Bookmark the permalink.